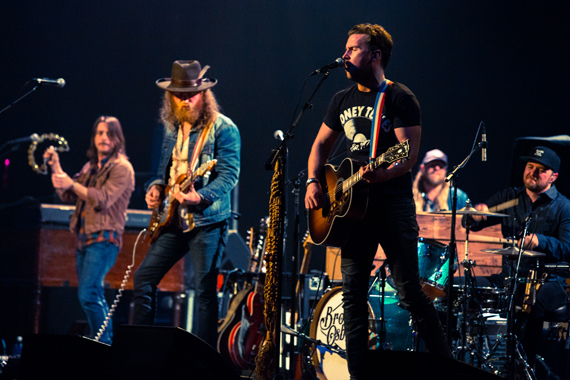 EMI Nashville’s Brothers Osborne will headline The Dirt Rich Tour starting on Sept. 22 in Rosemont, Illinois. The tour will hit almost 30 markets including New York, Los Angeles, Dallas and Vancouver, British Columbia. Fans can purchase tickets beginning on Friday (Aug. 12) on the band’s website. Their debut album, Pawn Shop, includes the hits “Stay a Little Longer,” “21 Summer,” “Rum” and more. Joining the Maryland natives for select dates is LANco, composed of Brandon Lancaster, Tripp Howell, Eric Steedly, Jared Hampton and Chandler Baldwin. LANco recently impacted country radio with their debut single “Love Live Tonight” from their four-song, self-titled EP produced by Jay Joyce (Eric Church, Little Big Town). Just wrapping up an extensive festival appearance schedule this spring and summer, the five man band has previously toured with Dwight Yoakam, The Band Perry, Eli Young Band and more. In addition, British-born singer/songwriter Lucie Silvas will join Brothers Osborne for the remaining tour dates. Silvas has sold over a million albums in Europe and toured with acts such as Little Big Town, Elton John, Chris Stapleton, James Bay, Macy Gray and Jamiroquai. She recently released the critically- acclaimed album, Letters to Ghosts, on her own imprint label through Caroline Records. Silvas co-wrote and co-produced the entire album.